The second great novel I’ve listened to on my ipod this spring is Charles Dickens’ Great Expectations. 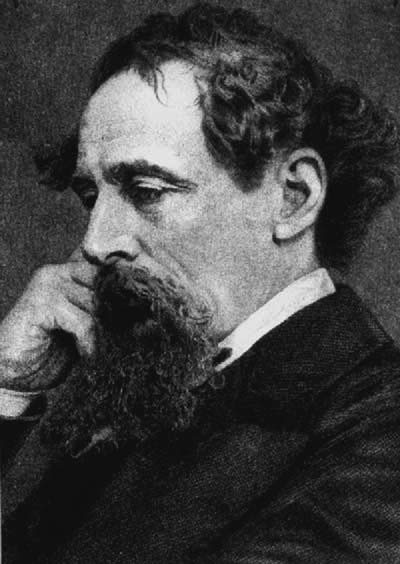 Though I don’t think it matched The Brothers Karamazov‘s psychological and religious depth, I was drawn in by Dickens’ humor, his characters, and his lilting, seemingly effortless prose. He has some sentences that are just priceless. For example, when the convict looks at Pip “with a smile that was like a frown, and a frown that was like smile” (p. 354 of my Barnes & Noble, 2003 version). Or Pip describing his miserable upbringing: “I was always treated as if I had insisted on being born in opposition to the dictates of reason, religion, and morality, and against the dissuading arguments of my best friends” (24). Although some days I would get a bit bored while listening and have to discipline myself to keep going, when I got to the end of the book, I cried. I think it took me getting to the end of the book before I could really see the great truth that was working itself out so powerfully throughout the course of the plot, and it is what I interpret as the novel’s central theme: that true greatness is not found in power and self-advancement, but in character and love. Pip spends his entire life in reaction to the condescending treatment he receives from Estella and Miss Havisham, seeking to improve himself, intellectually, socially, and morally. But his huge inheritance, his education, and his social improvement under Herbert do not solve his problems. They don’t fill the gap in his heart. They don’t give him an identity or a platform to stand on. They don’t help him win Estella. Instead, they just bring him heartache, debt, and broken relationships with those he cares for the most. But towards the end of the novel something changes in Pip. Instead of being ashamed of Joe and the convict because of their gruff manners, he begins to see the simple kindness he continually receives from Joe, and the convict’s inner goodness and sincerity. He begins to see the superficiality of how he had previously measured the world. In short, he begins to grow outside his narrow little world and actually love other people. The end of the book, with all his tenderness to the convict just prior to his death (chapter 56), and his kind words to Joe and Biddy (chapter 57), is very moving. Its powerful to see dramatized one of the most important but least obvious truths in life, that the inner matters more than the outer, that there is nothing greater in all of life than simple love. Why is love greater than power? Because Jesus Christ introduced a new definition of greatness into the world when he gave up power for the sake of love. The one who never should have had to serve anyone was made the slave of all. The one who was worshiped by angels became a misunderstood, marginalized, seemingly unimportant person. The one who had power to create the universe out of nothing became helpless to get off a cross. The one who was loved by the Father for all eternity past became abandoned and forsaken, the object of his wrath. “For even the Son of Man did not come to be served, but to serve, and to give his life as a ransom for many” (Mark 10:45). We can never measure greatness the same way again after looking at the cross. Most of us probably already know that love is greater than power. But is it not so profound, so decisive, so penetrating, so life-or-death relevant in every situation, that we need to be reminded of it every day? We’re kindred spirits, Gav. Dickens and Dostoevsky are my two favorite novelists.